The selection of titles that will be making the move to console includes several originally published by BioWare. 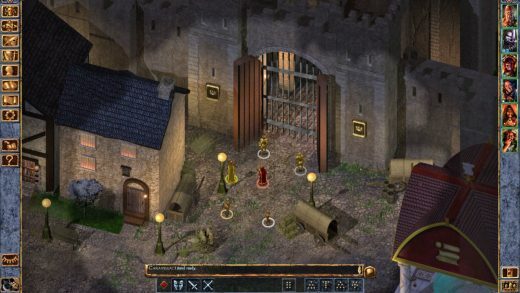 Games from the Baldur’s Gate series including Baldur’s Gate, Baldur’s Gate ll and Baldur’s Gate: Siege of Dragonspear will all come to consoles. Neverwinter Nights will also make the jump. Icewind Dale and Planescape: Torment, two games that originally used BioWare’s Infinity Engine, will arrive on a new platform this year, as well. There is no set release date for any of the titles and no official word on which consoles will get the times, but Skybound and Beamdog said they plan on releasing the titles over the course of 2019. The games will be available in both physical and digital formats. Baldur’s Gate and Neverwinter Nights both received enhanced editions for PC before, but this will be the first time these games will be available on console.